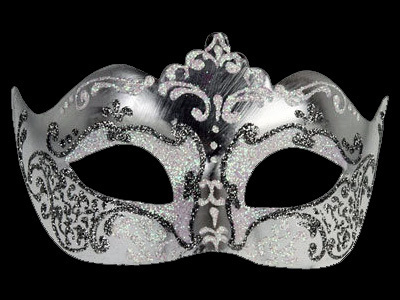 We stock a wide selection of masquerade masks in an assortment of designs and colours. 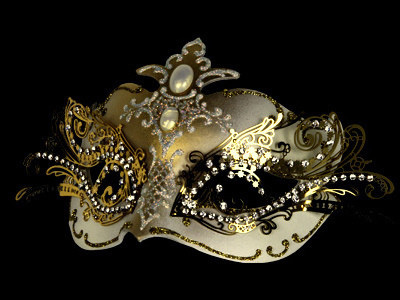 We can also give you advice on which kind of mask would be most suitable for you - for example, if you need to wear glasses, there are some designs which sit perfectly over glasses. 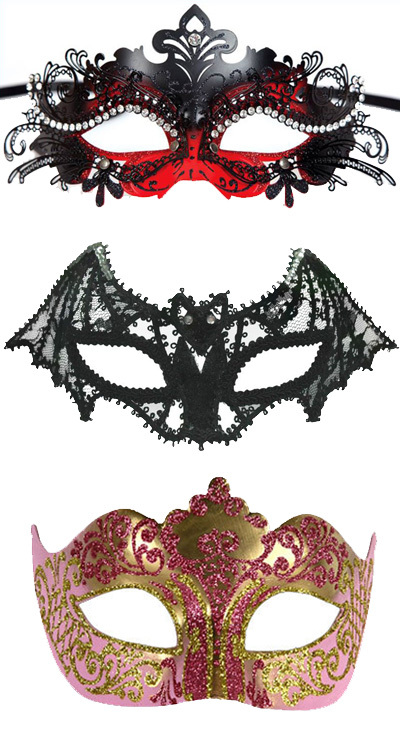 Here are just a few photos of the many styles and colours which are available. 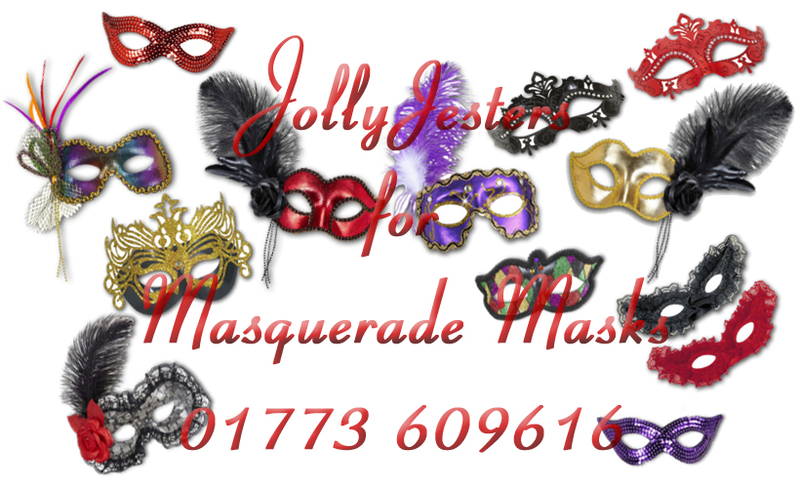 Please ring us on 01773 609616 for specific enquiries. 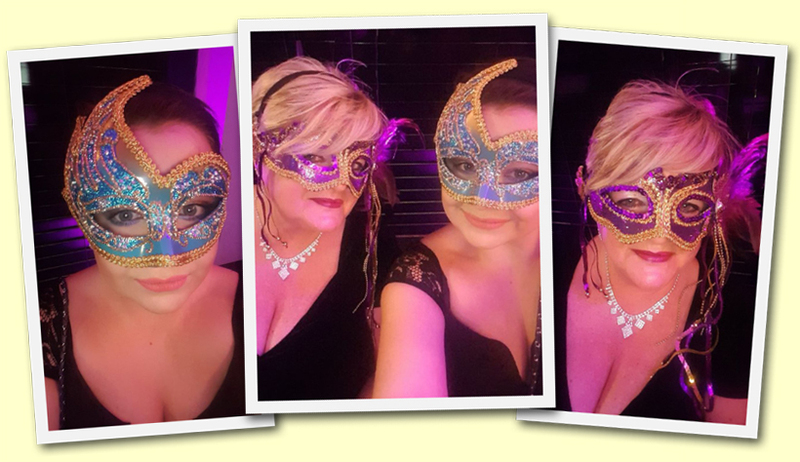 Many thanks to Jasmin Covey Clark from Jasmin Jade Health & Beauty in Somercotes for sending us these three stunning photos, below. 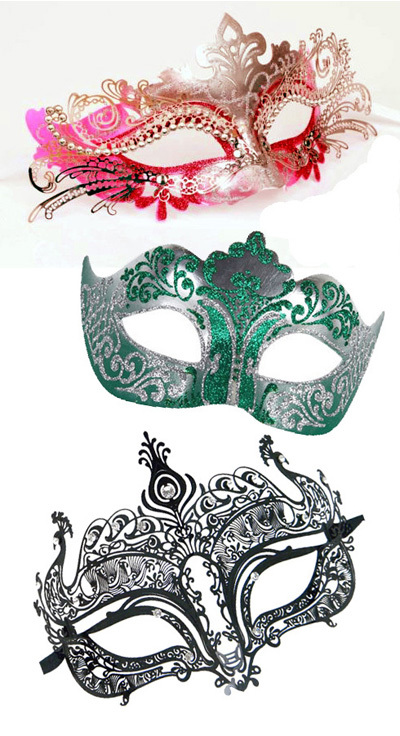 Also popular for masquerade balls and murder mystery parties are these character masks below. 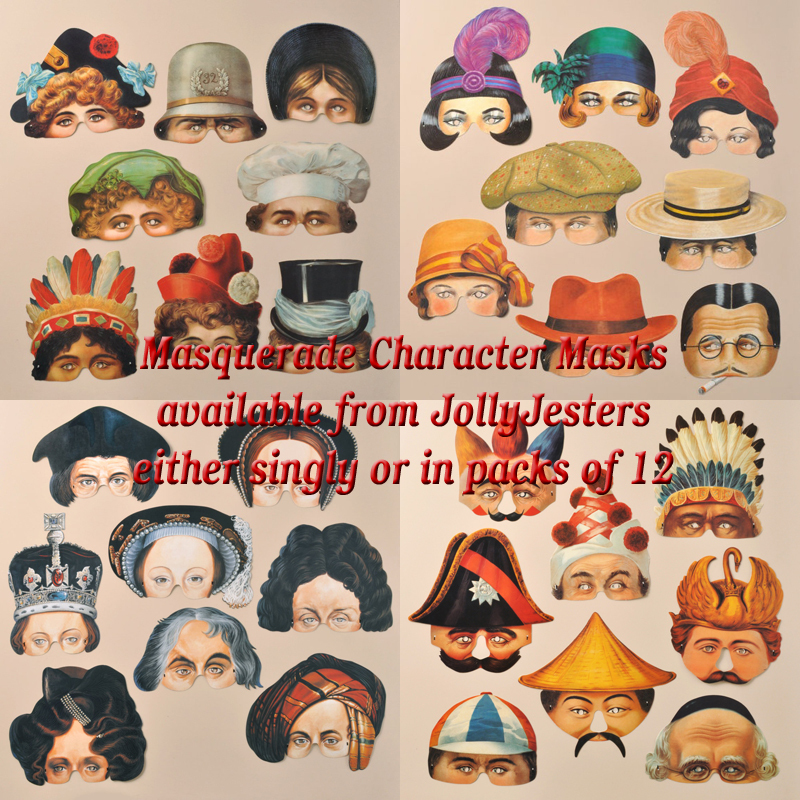 We have put together a few sets of 6, 8, 10 and 12 masks which work perfectly for the characters in some of the Murder Mystery Kits on this page.